The Tudor family tree is made up of the prominent European family that ruled England and Ireland from 1485 through 1603. The Tudor family came into power with Henry VII and ended over 100 years later with Queen Elizabeth I. The Tudor dynasty, also known as the House of Tudor, had a total of six monarchs during their era of nearly 120 years. The Tudor monarchy began with Henry Tudor, a descendant from the royal House of Lancaster through his mother's ancestry. The last Tudor monarch was Elizabeth I of England. 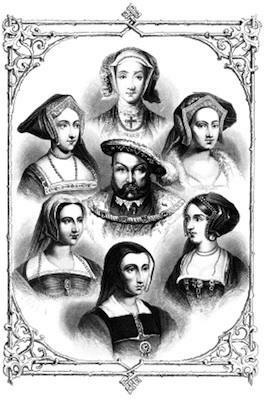 Most people studying the Tudor family tree are concerned with the six monarchs of England, their spouses, and their children. The following names and dates may help you as you study the Tudors. Margaret, who married James IV of Scotland and had one son who carried on the family lineage - Eventually her great-grandson would become King James I after the death of Elizabeth I.
Edward, son of Henry VIII and Jane Seymour, became King Edward VI at the age of 9 when his father passed away in 1547. While he was still a child, his uncle, the Duke of Somerset, took over the throne. In 1953 Edward VI became ill, and wrote his will so that Lady Jane Grey, the granddaughter of Henry VIII's sister Mary Tudor would take the throne at his death. Lady Jane Grey was born to Mary Tudor and Louis XII of France, but due to religious controversy she was Queen for only nine days. Lady Jane Grey was removed from the throne and replaced by Mary I, daughter of Henry VIII and first wife Catherine of Aragon. Lady Jane Grey was executed and did not have any children to continue the family tree. Some historians do not count Lady Jane Grey as one of the Tudor family tree, since her reign was only nine days. Mary I, daughter of Henry VIII and his first wife Catherine Aragon, became queen after Lady Jane Grey's nine day occupation of the throne. Mary I married Prince Phillip of Spain but was unable to produce an heir due to their limited time together. Mary I is often referred to as Bloody Mary due to her execution of Protestants in her attempt to restore Catholicism to England. Mary died in 1558 without having children. Elizabeth, daughter of King Henry VIII and Anne Boleyn, inherited the throne at the death of Mary I. Elizabeth I never married and did not have any children. At her death in 1603, James VI, son of Margaret Queen of Scots and great-great-grandson of Henry VII, became king.